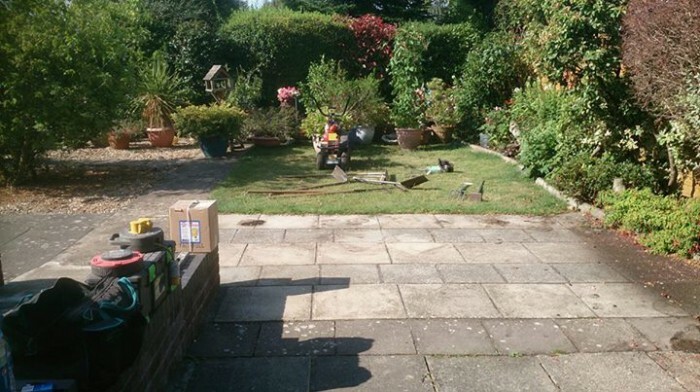 BEFORE & AFTER – A complete garden makeover by Artificial Style! 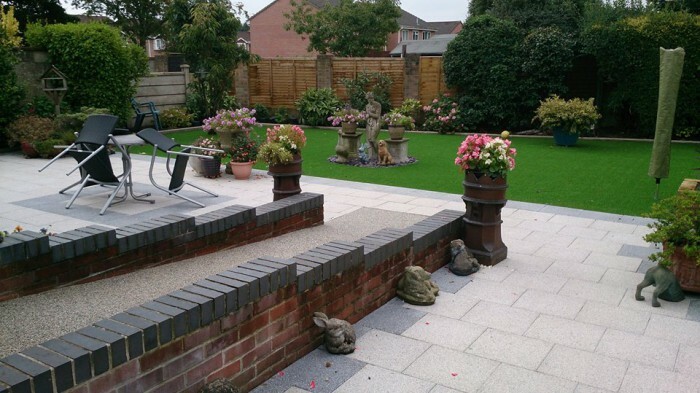 The customer wanted a space which was easy to maintain and plant in therefore we used artificial grass, resin bound gravel and paving along with sleeper planters to create this beautiful low maintenance garden. 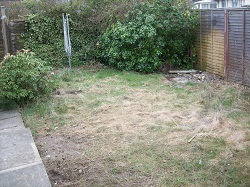 This is a rental property garden in Creekmoor, Poole. Low maintenance was what the customer needed, and low maintenance is what they now have. 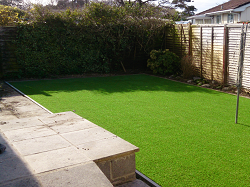 The garden will continue to look great as a usable space all year round. 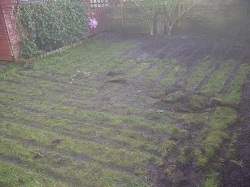 Our customer wanted to replace a graveled area which wasn’t working for them. 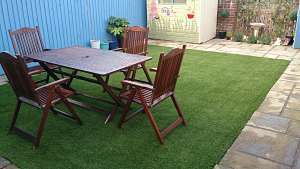 Artificial Style replaced it with a low maintenance artificial turf which will stand the test of time and look great for years to come. 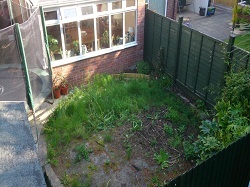 This is a customers garden in Parkstone. They are a young, busy family and did not have time to maintain the lawn. 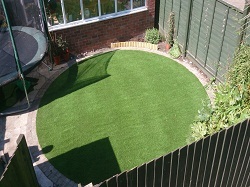 The natural turf had got out of control and they chose to go for artificial grass. 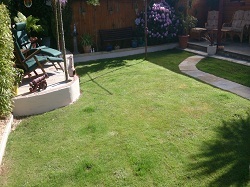 We removed the old turf and replaced it with an artificial lawn. 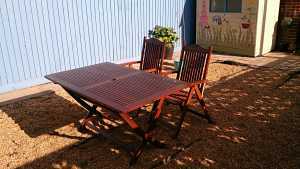 Now they have a space they can use all year round, where the children can play safely and with very little maintenance required. Back garden in Parkstone, Poole. 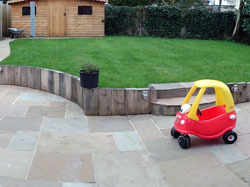 This customer is a childminder and needed a garden that could be used all year round. 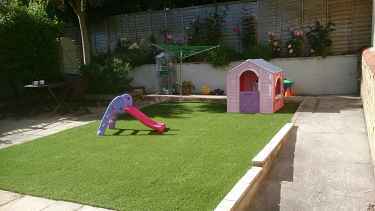 Artificial grass was the perfect solution – low maintenance, child friendly and great for use throughout the year. Family garden in Christchurch, Dorset. 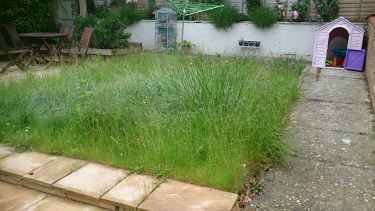 Many gardens have a trampoline these days and grass won’t grow beneath them. 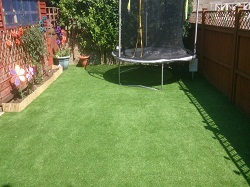 Artificial Style installed artificial turf in this garden so it now means that even when the trampoline is removed the grass will look as good as the day it was laid. Artificial Style landscaped the whole garden for this family in parkstone, Poole. 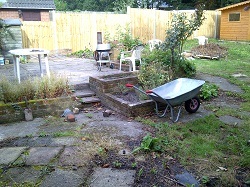 This included the installation of sleepers, paving and natural turf. The garden is now a functional area to be used throughout the year. A rear garden in Christchurch, Dorset. 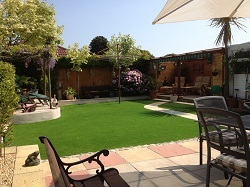 This garden was already very well presented, but the customer wanted the lush lawn look all year round without having to maintain and water it. Now it has the wow factor and will continue to look fantastic for many years to come.